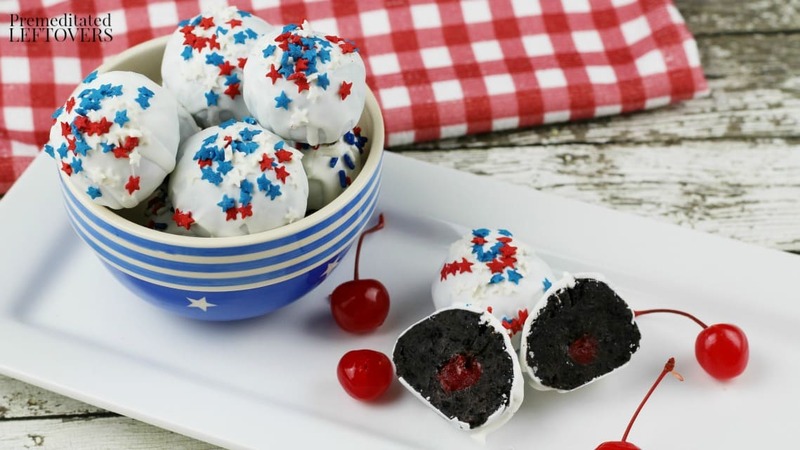 These patriotic cherry-stuffed Oreo truffles are the perfect addition to your Fourth of July party. Oreo truffles are a time tested favorite. These cherry-stuffed Oreo truffles take it to the next level with a Maraschino cherry center. Oreo truffles are commonly given as gifts at Christmas, but there is no reason we can't eat them year-round! 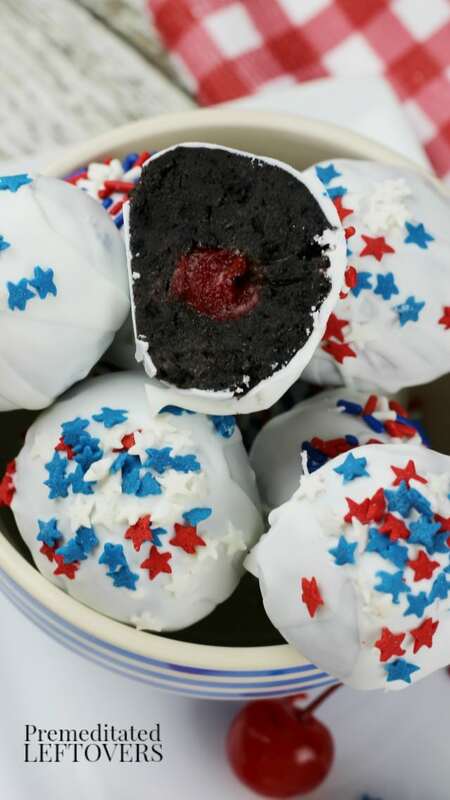 With a white-chocolate coating and patriotic sprinkles, these Oreo truffles are the perfect dessert for Memorial day and Fourth of July get-togethers. 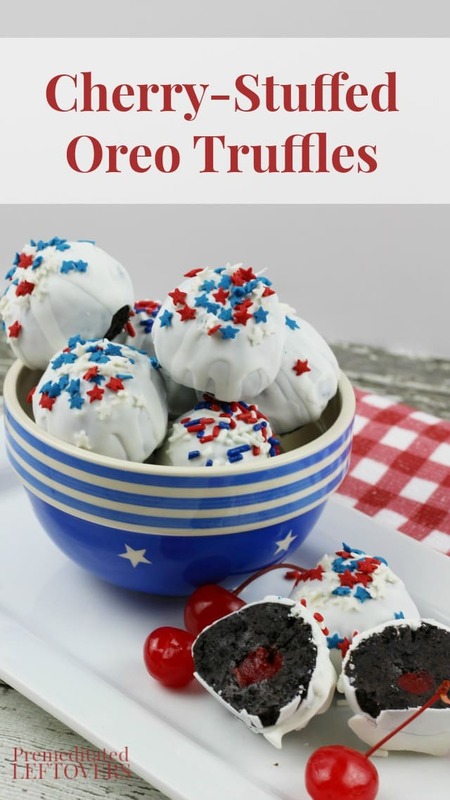 You can decorate the Oreo truffles for any holiday, but if you want to make Patriotic Cherry-Stuffed Oreo Truffles, you can use Red, White, and Blue Jimmies, Red, White, and Blue Pariels, and Red, White, and Blue Mini Stars. 2. Place Oreos in a food processor or blender and pulse until finely crushed. 3. Transfer the finely crushed Oreo crumbs to a large mixing bowl. 4. 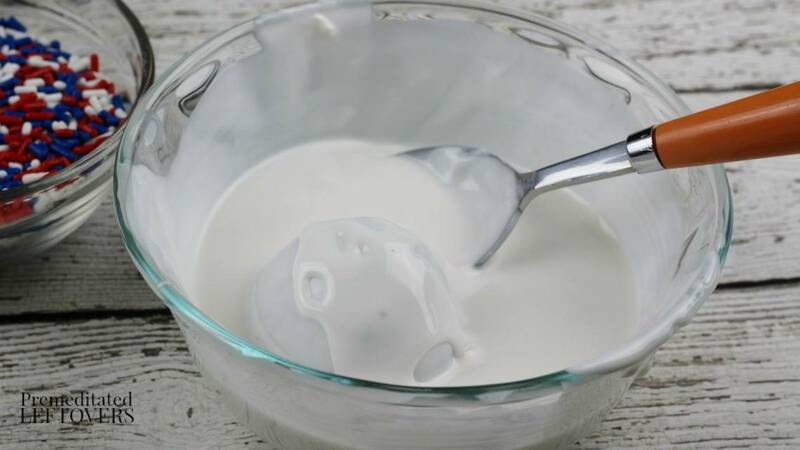 Add the softened cream cheese and mix well until completely blended (about 2-3 minutes). 5. Roll the Oreo mixture into 1 inch balls and place on the cookie sheet. 6. Next, flatten each ball like a pancake. I used the bottom of a drinking glass. 7. 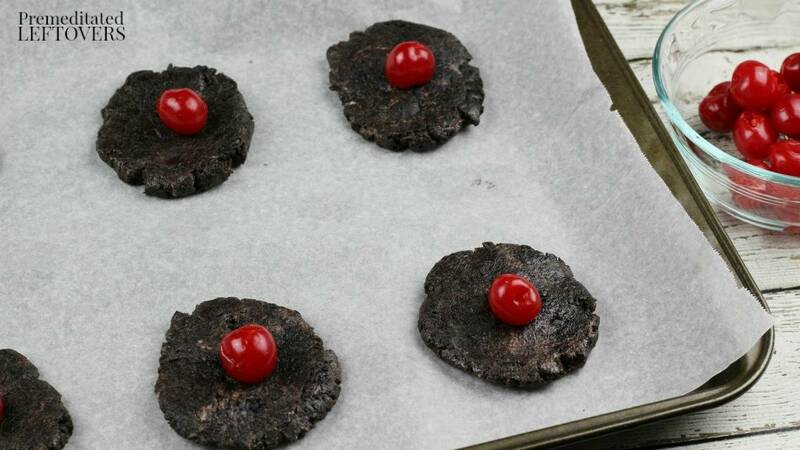 Place a maraschino cherry in the middle of each flattened Oreo ball. 8. Completely cover each cherry by bringing up the sides of the Oreo mixture and rolling it into a ball again with your hands. Place back on cookie sheet. 9. Chill Oreo truffles for at least 30 minutes. 10. 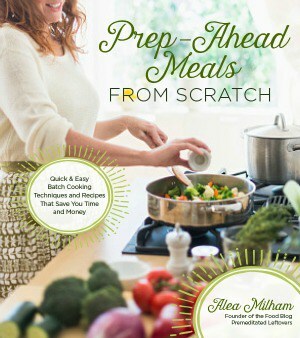 In a microwave safe bowl, microwave the shortening for 45 seconds. Add the white chocolate melts and stir until completely melted. You may have to microwave for additional 12 second intervals until the chocolate melts. Stir after each interval. 11. Using a toothpick, dip a chilled Oreo truffle into the melted white chocolate. 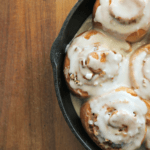 Immediately, place it back on the cookie sheet and sprinkle with red, white and blue sprinkles or jimmies. (Because the truffles are chilled, the chocolate hardens very quickly). Repeat until all truffles are covered and decorated. 12. Store in an airtight container up to 2 weeks. 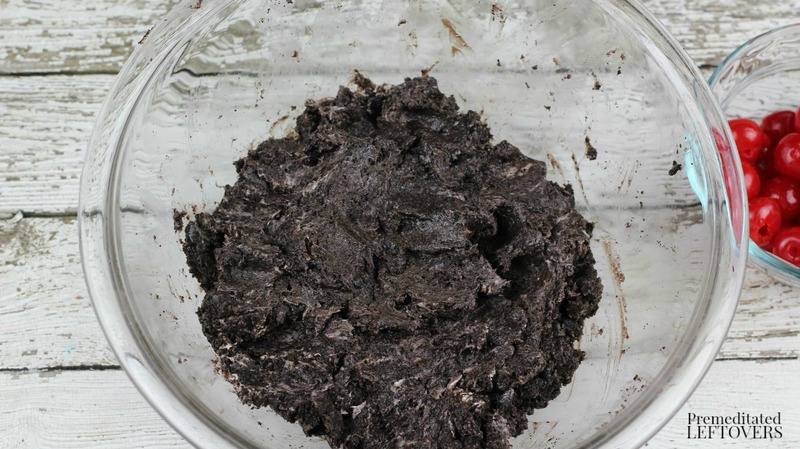 Place Oreos in a food processor or blender and pulse until finely crushed. Transfer the finely crushed Oreo crumbs to a large mixing bowl. Add the softened cream cheese and mix well until completely blended (about 2-3 minutes). Roll the Oreo mixture into 1 inch balls and place on the cookie sheet. Next, flatten each ball like a pancake. I used the bottom of a drinking glass. Place a maraschino cherry in the middle of each flattened Oreo ball. Completely cover each cherry by bringing up the sides of the Oreo mixture and rolling it into a ball again with your hands. Place back on cookie sheet. Chill Oreo truffles for at least 30 minutes. 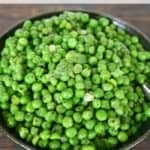 In a microwave safe bowl, microwave the shortening for 45 seconds. Add the white chocolate melts and stir until completely melted. You may have to microwave for additional 12 second intervals until the chocolate melts. Stir after each interval. 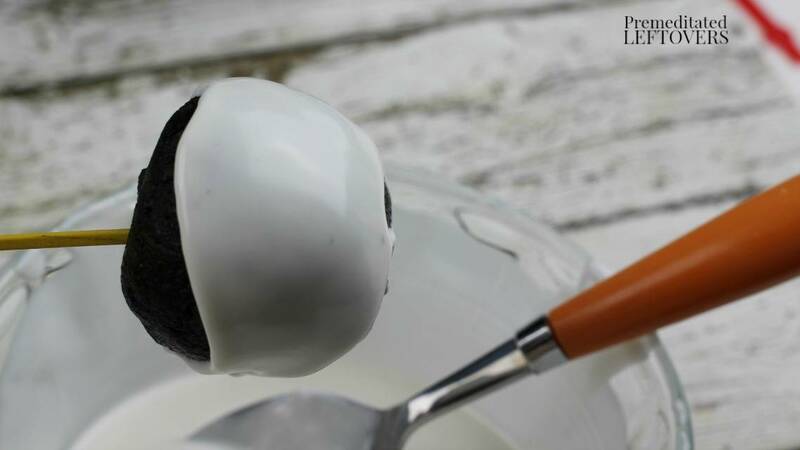 Using a toothpick, dip a chilled Oreo truffle into the melted white chocolate. 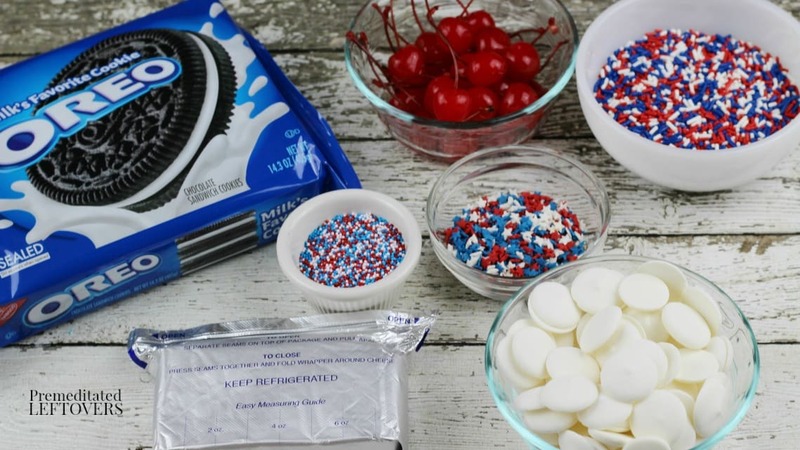 Immediately, place it back on the cookie sheet and sprinkle with red, white and blue sprinkles or jimmies. (Because the truffles are chilled, the chocolate hardens very quickly). Repeat until all truffles are covered and decorated. 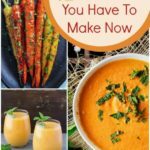 Thanks to Melissa of Sippy Cup Mom for sharing your recipe and pictures with us. 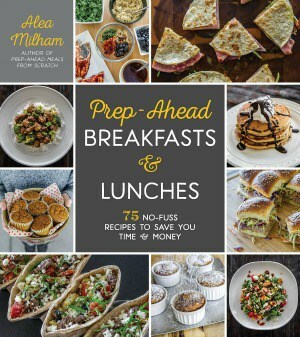 Oh my gosh, these look so good! I love chocolate cherry stuff. I’ve never actually had Oreo truffles before but I don’t think that combination of ingredients could ever go wrong 😉 Thanks for sharing at Wonderful Wednesday!! These look amazing! Visiting from Idea Box!